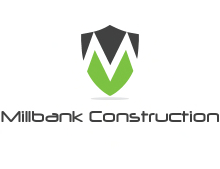 Millbank Construction - Builder, Kitchens based in Earley, Berkshire. Millbank Construction. Building company based in Reading, Berkshire. We pride ourselves on delivering professional and affordable building services that cover all aspects of building works. So whether you want a house extension, structural alterations, loft conversion or home improvements, from fitted kitchens & bathrooms, right through to a complete refurbishment, just contact us for free advice or fill out our online enquiry form with no obligation and we will contact you. We take pride in ensuring that all our staff our vetted and accredited in the fields that they work. Call today for all your building needs.